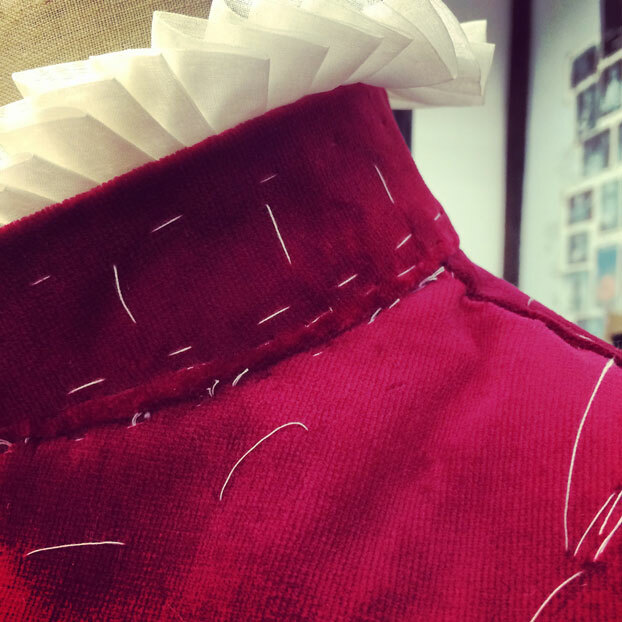 When designer Renée Mulder starts work on a new production here at STC, the process is usually the same, but the results are always unique. Renée starts by reading the script several times and discussing with the director the historical context and vision for the play. Then she'll do research to find the right period details, colour palettes, material inspirations and silhouettes. 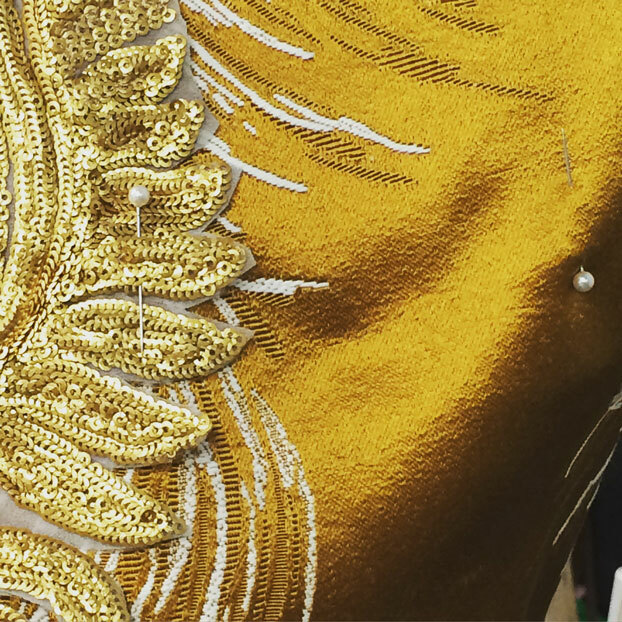 From there, it's a process of creation and editing as she painstakingly sketches and refines each costume. Once she presents her final designs, Renée and STC's costumiers start sourcing fabrics and drafting patterns – working out how much fabric is required, the cut of a garment and the way it will fall on the body. In the gallery of images below, we zoom in on this part of the process and then show you the finished product as it appears on stage. 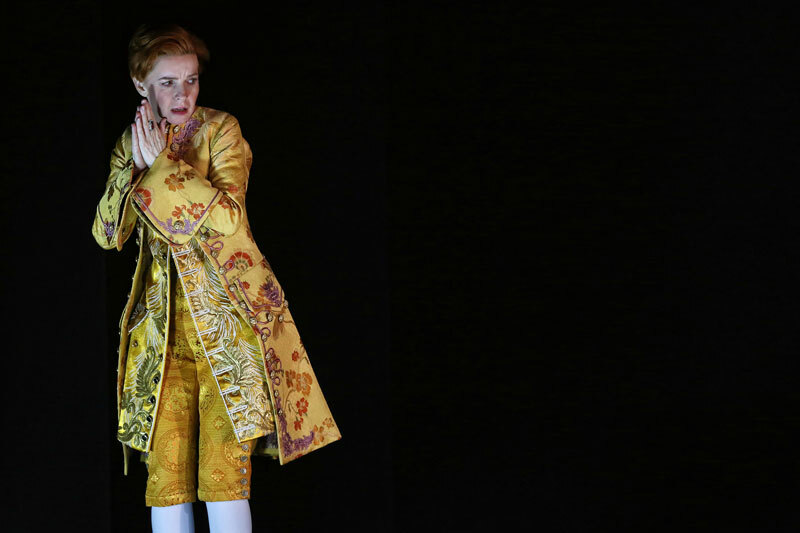 These varied colours and textures are only a taste of the dozens of costume elements that carry the cast and audience of Orlando from Elizabethan England to the present day. Renée and Costumier Joanna Grenke are making sure that the cut, shape and tailoring is perfect before the piece is made in the real fabric. 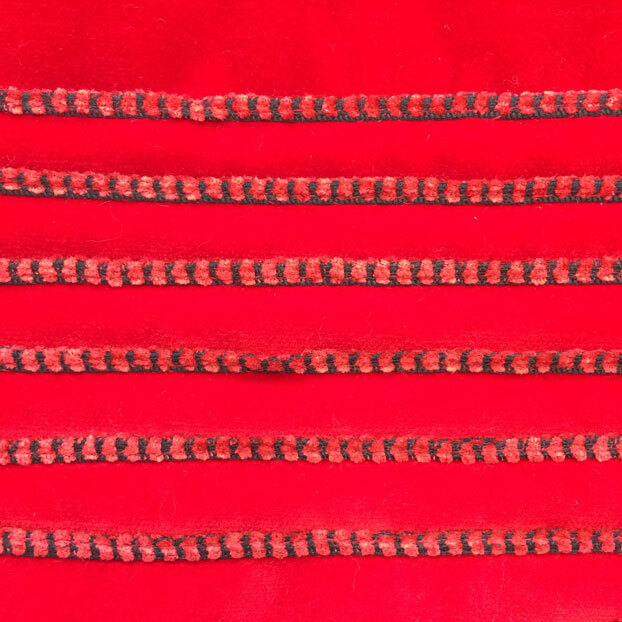 In this detail of Orlando's Elizabethan doublet, the final fabric with all the trimmings is on show; Costumier Joanna Grenke has sewed red cord onto the red velvet. 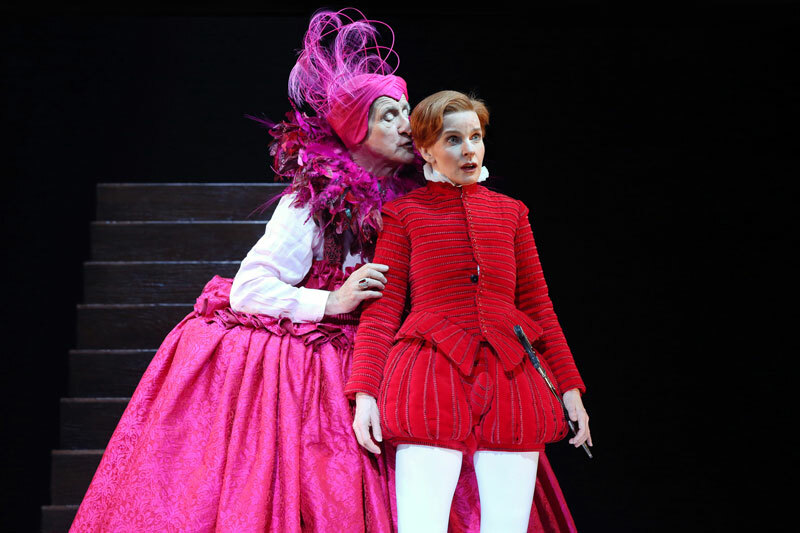 Below, Jacqueline McKenzie as Orlando shows off the finished doublet and ruff, with John Gaden as Queen Elizabeth sneaking up behind her. "Wrapped in a great fur cloak." That's how Russian princess Sasha (Luisa Hastings Edge) and Orlando make love in the snow. 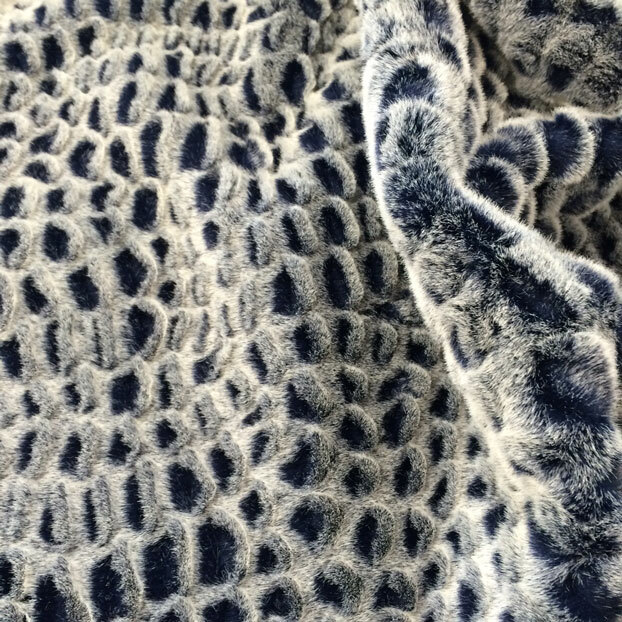 Keeping the lovers warm and Sasha looking regal is this animal-friendly synthetic trim. With each new century comes a new colour palette for Orlando. 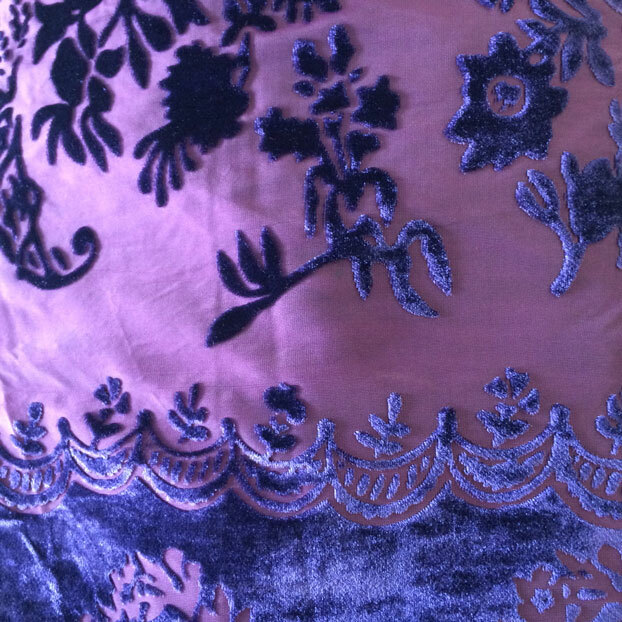 From the reds and vermillions of the Elizabethans, we move into the mustard yellows of the 17th century, with some options for embellishments pinned on. In the 18th century, Orlando gains a hat topped with ostrich feathers. 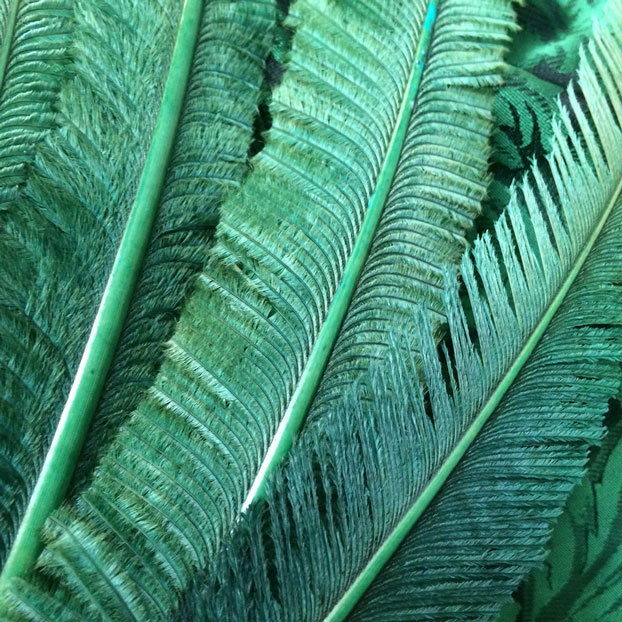 These feathers have been trimmed and dyed by STC's Costume department. By the 1800s, Orlando has left doublets and waistcoats behind for dresses and skirts. Above is a detail of the texture and colour. 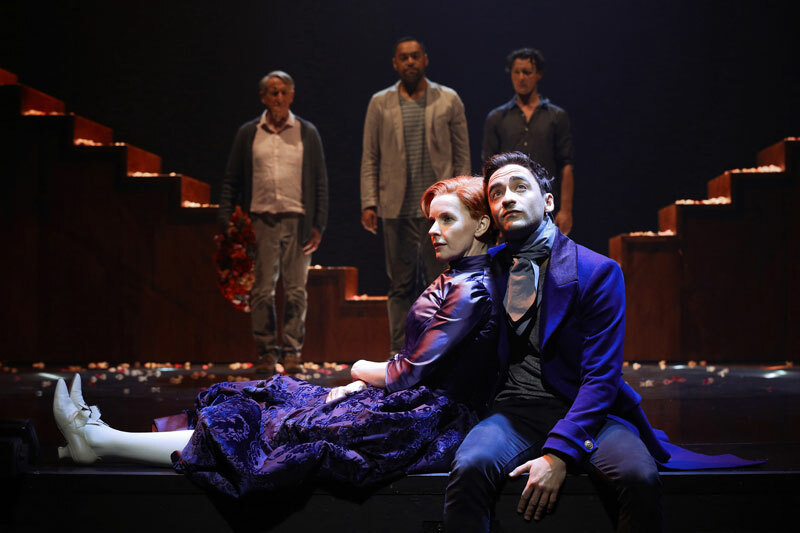 Pictured below are Jacqueline McKenzie and Matthew Backer with John Gaden, Anthony Taufa and Garth Holcombe behind. 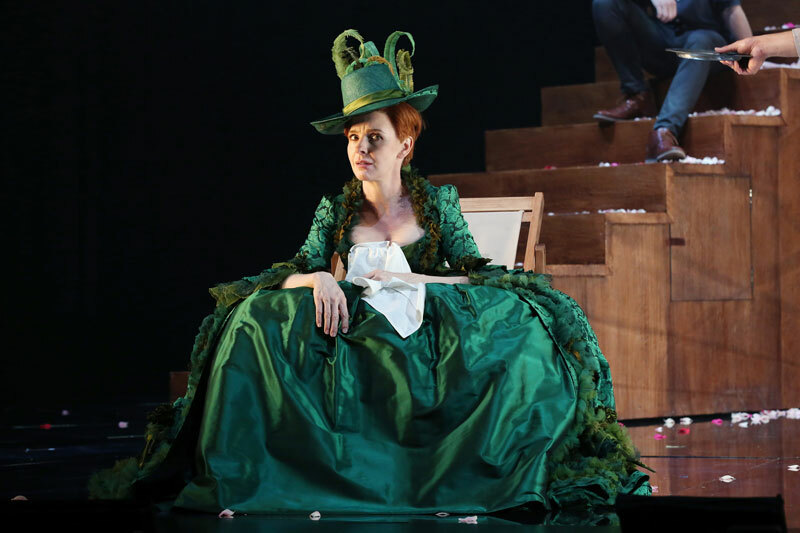 Renée Mulder is designing not just the costumes, but all the set elements as well. 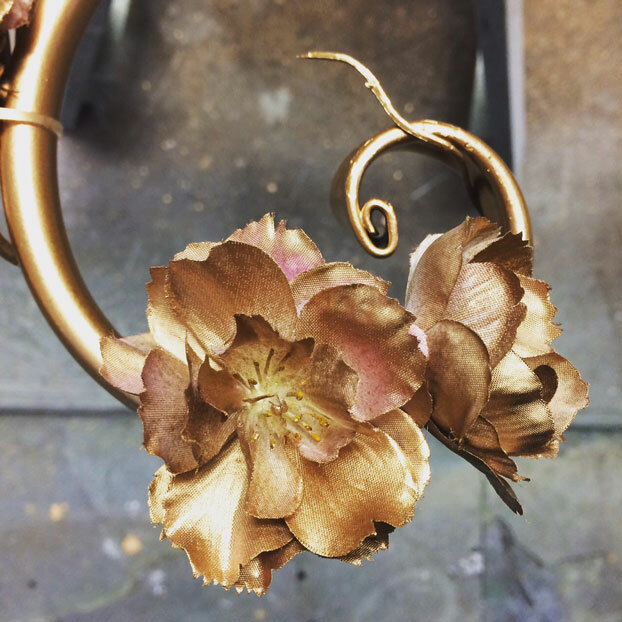 Here is a close-up of a metal swing that Emily Adinolfi in STC's Props department has embellished with painted cherry blossoms, so that the fake flowers appear to be part of the gilded metal framework. Art imitating life imitating art imitating life! Costume photos by Renée Mulder. Production photos by Prudence Upton.